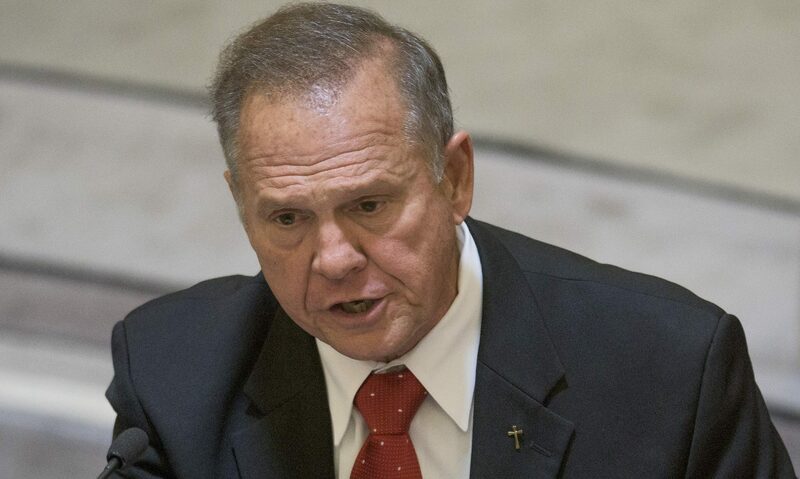 Former Republican candidate Roy Moore posted on his Twitter feed Wednesday for the first since his failed Senate bid, promising new “details” about media reports that a group used potentially illegal social media tactics to influence the 2017 special election. The last time Moore tweeted before two tweets he sent on Wednesday was Dec. 30, 2017, in the days following his loss to Democrat Doug Jones. Moore’s promises of new details come after Attorney General Steve Marshall told reporters late last month that the disinformation campaign targeting Moore’s Senate bid may have violated the law. The New York Times first reported the news of the limited influence campaign. The first tweeted was followed up hours later with a second tweet. Moore was twice elected to the state’s Supreme Court as chief justice before being removed twice. His campaign for Senate last year was marred by allegations of sexual misconduct, which are unrelated to the social media campaign uncovered by the New York Times. The report from The New York Times said the social media project — which involved deceptive posting methods on Facebook and Twitter intended to divide Republicans and draw votes from Moore — had a comparably minuscule budget of $100,000 and was likely too small to have an effect on the race but was more likely an experiment to determine the potential effectiveness of any future social media interference. More than $40 million was spent during the course of the 2017 election. The project was designed to help Jones, but Jones said last month that he was angry about the so-called experiment even if it had no effect and called on federal and state authorities to investigate. Much of the social media influence campaign involved creating a Facebook page that presented itself as a conservative Alabama group that was criticizing Moore. Jones narrowly defeated Moore by nearly 22,000 votes in a race in which more than 1.3 million votes were cast. Another part of the tactics used by the group included bolstering write-in candidates and trying to link Moore’s campaign to thousands of Russian accounts that quickly began following Moore shortly before the election, which drew national attention. The mass Twitter following was reported by numerous local and national outlets. Jones said his team had “no idea” about any of the social media antics being played during the election. Billionaire Reid Hoffman has apologized for donating $750,000 to the group, American Engagement Technologies, which is tied to the effort to discredit Moore and bolster Jones. Hoffman said he did not know that the money was used for an illicit disinformation campaign. Moore has also called for an investigation.